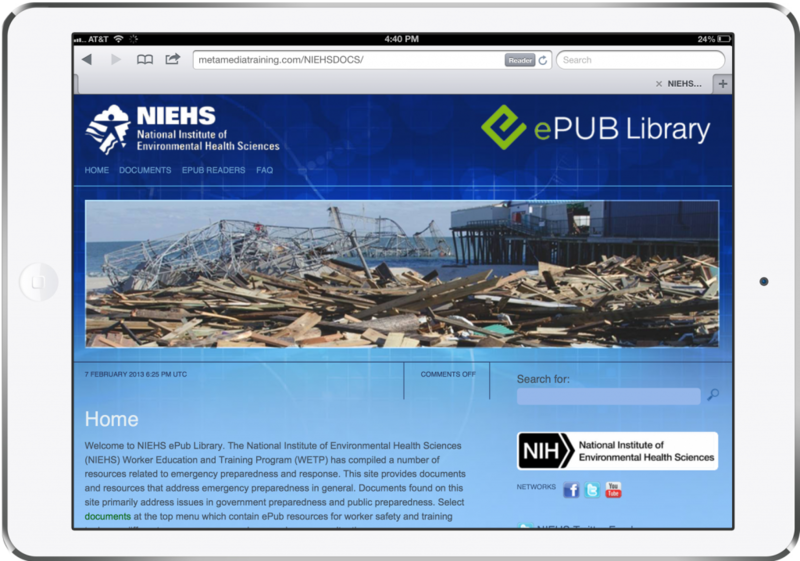 NIEHS ePubs - MetaMedia Training International, Inc.
Project Description: For the NIEHS, MetaMedia developed a series of media-rich ePub titles with critical training and on-scene aides for disaster responders when responding to a incident. 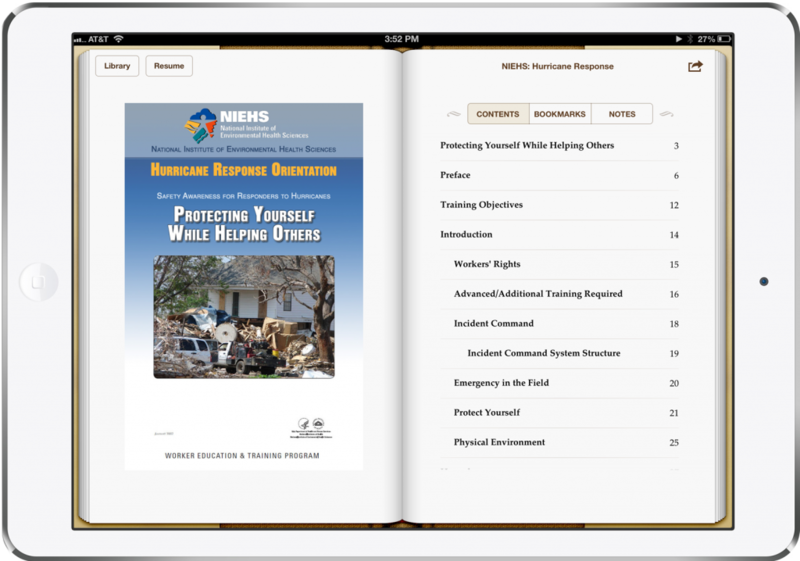 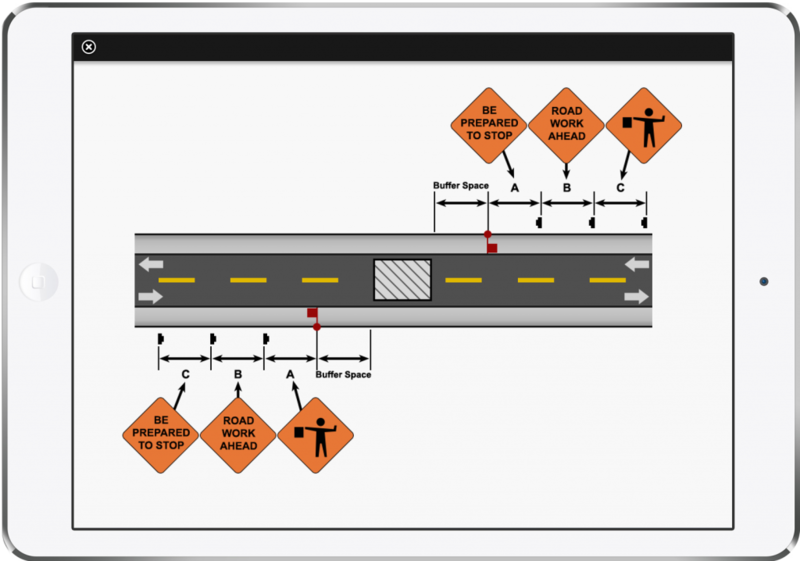 The training aides are portable, downloadable to any mobile smartphone or tablet, and include a variety of embedded videos, photos, diagrams and textual information to act as a refresher for workers heading to a scene or to be educated for the first time on topics workers may be facing when responding to a disaster. 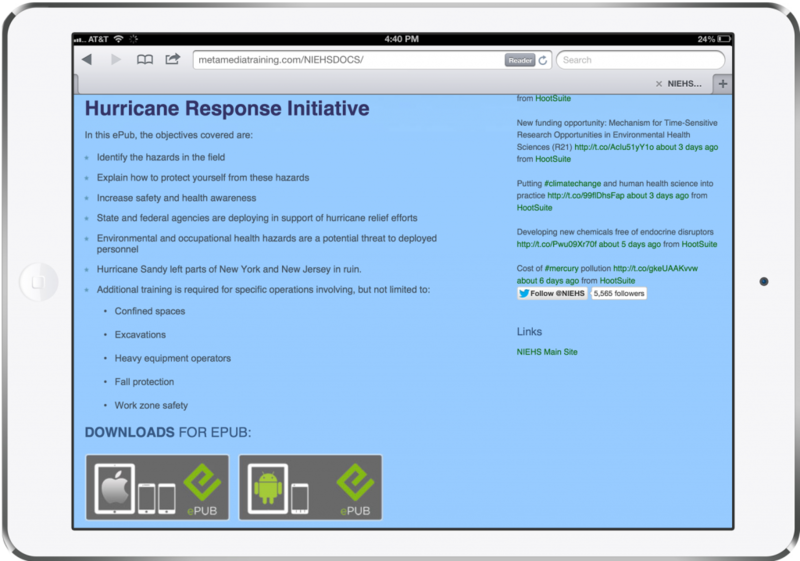 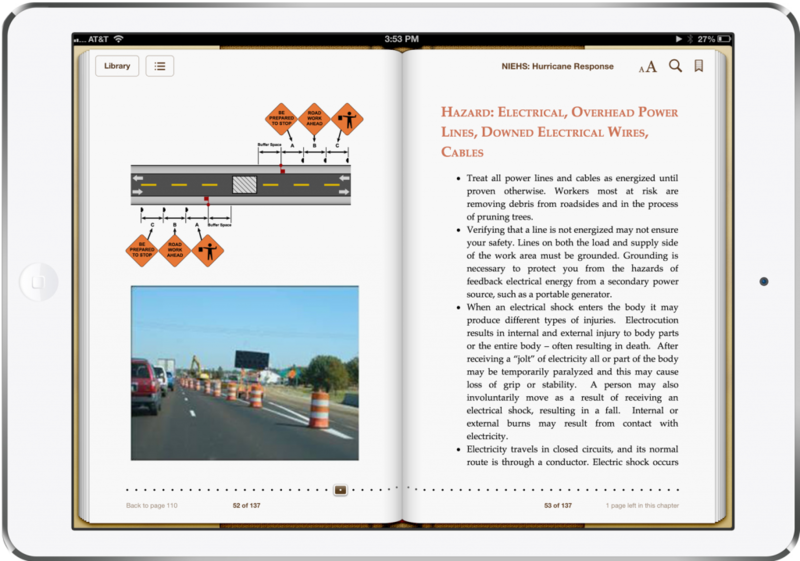 MetaMedia converted incident-specific booklets in their existing PDF form to web and mobile-ready universal ePub formatted files for distribution and deployment across multiple platforms, specifically cross-platform desktop, handheld smart phone, and tablet (iOs and Android).